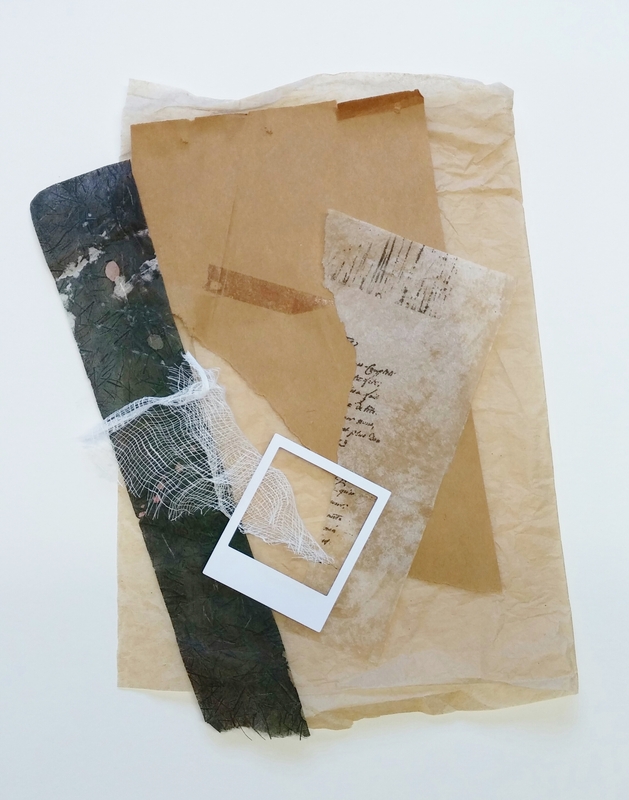 This is the first challenge I’ve participated in for Mixed Media Monthly. I recently discovered the challenge after following the link on a new Facebook friend’s, Ruth Mescall’s, artist blog. This is my interpretation for the mood board challenge. 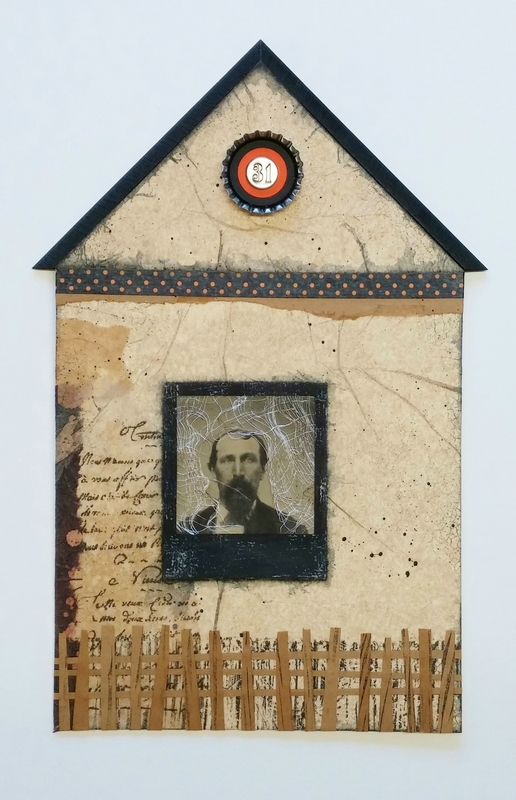 I’ve been drawn to the home shape in my mixed media art for several months. This is the biggest one to date and was so much fun to create. 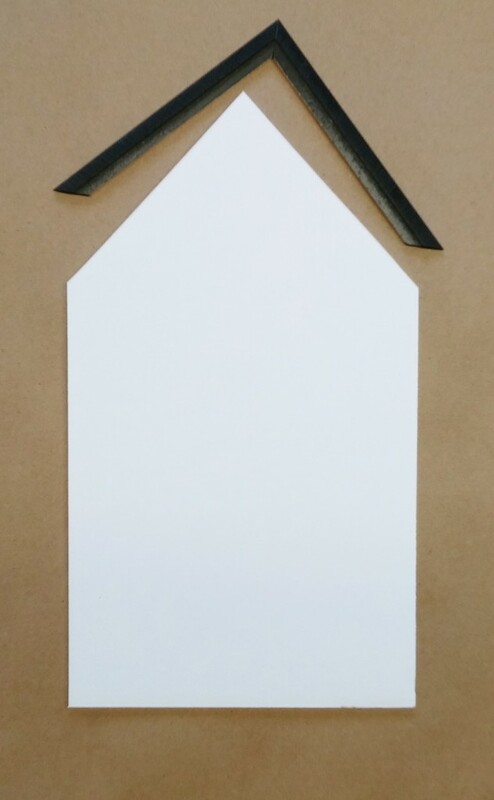 I started with a piece of white mat board cut into the shape of a house. The roof is two pieces of wood fillet I had left over from a custom framing job. Any small wood pieces will work nicely for this project…think balsa wood, doll house trim, etc. I attached and wrapped the front of the house shaped mat board with crinkled Kraft colored tissue paper using Modpodge. 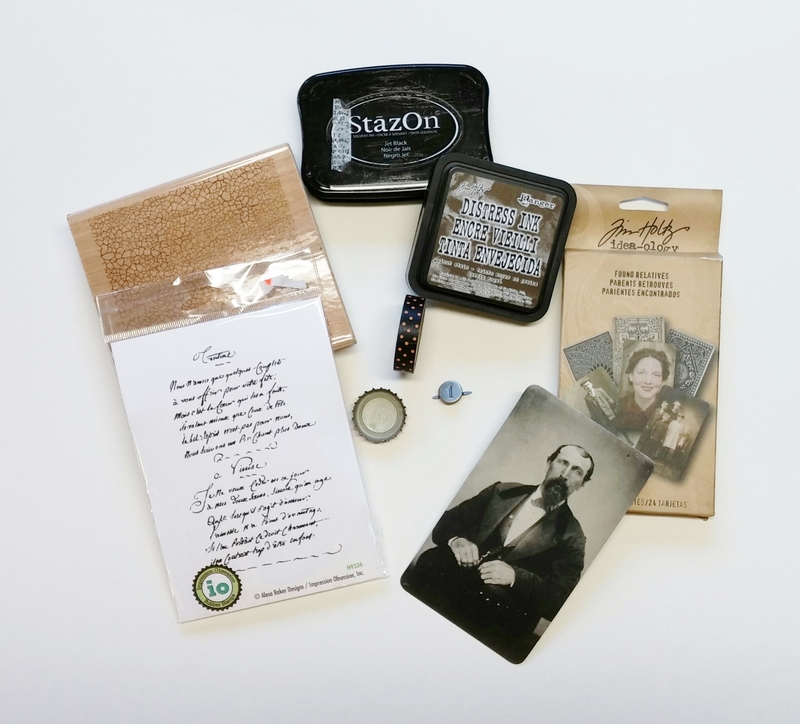 Other items used; a small paper frame, cheese cloth, a used teabag printed with words from a rubber stamp, black paper given to me by a friend, and the backing paper from a vintage picture frame. 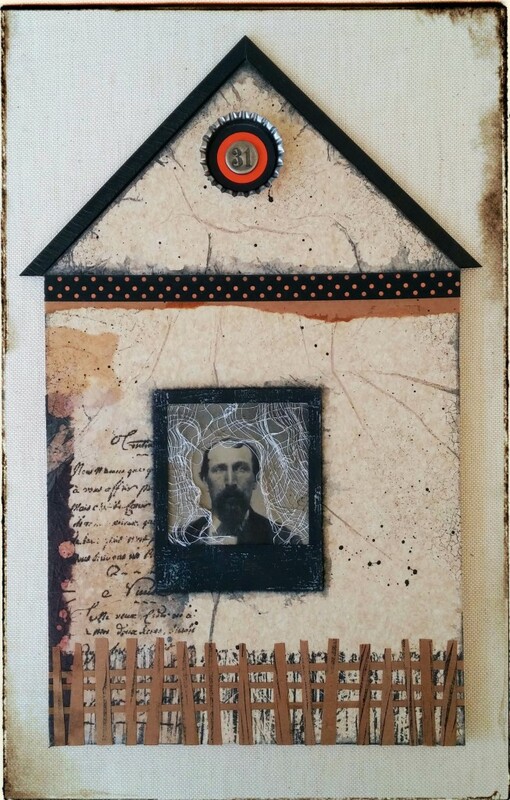 The photo used came from Tim Holtz’s idea-ology collection. I added a little distress with a crackle rubber stamp. I also used a rubber stamp with words, washi tape, a bottle cap, and pewter number 31. Finishing touches like the splatter dots were added using watered down black craft paint. I also went around roof line and paper frame with a black Stabilo marks all pencil. I then wet it with small round brush so it would bleed into the tissue paper. The rickety fence at the bottom was cut from Kraft paper in random widths and marked with the edge of a black ink stamp pad. Thanks so much for visiting my site. 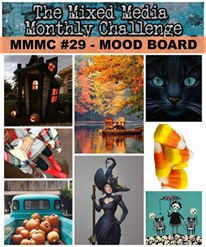 Please follow links above to see how others interpreted the October Mixed Media Monthly Challenge. Great house, I love how you altered it to make it so spooky!! So glad you found us and decided to play. Looking forward to seeing more creations from you in the future. Thanks for playing at the Mixed Media Monthly Challenge! !